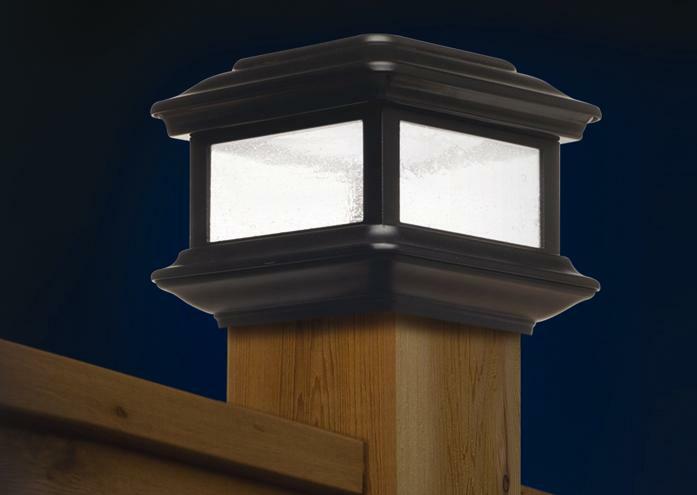 Add a touch of style to your deck, patio, fence or porch railings with these durable cast aluminum Colonial solar post cap lights. 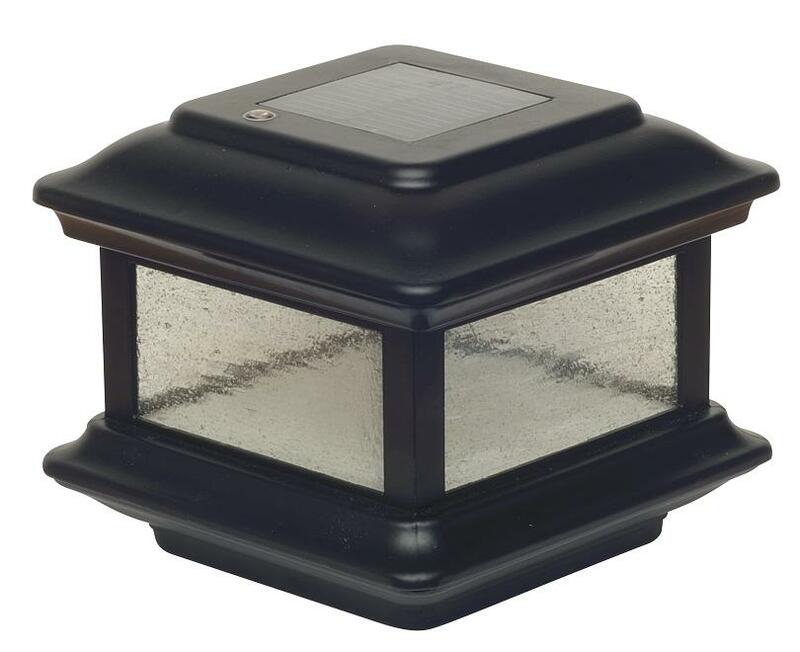 Each solar light is equipped with two high-quality LED bulbs and complimented with a real pebbled glass panel, providing up to 12 hours of light per night. The solar panel converts sunlight into electricity during the day, then when nightfall’s the light will automatically turn on with the electricity stored in the batteries. This solar post cap light fits perfectly over a 4"x4" wood post.